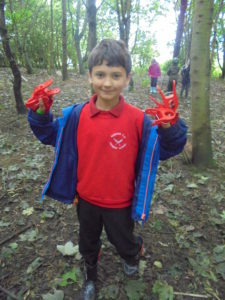 Click here to see posts about our work in the Forest School! Visiting the forest is a fun way of exploring and experiencing the environment through child initiated or child directed learning. Many children and adults are used to learning in a structured way. 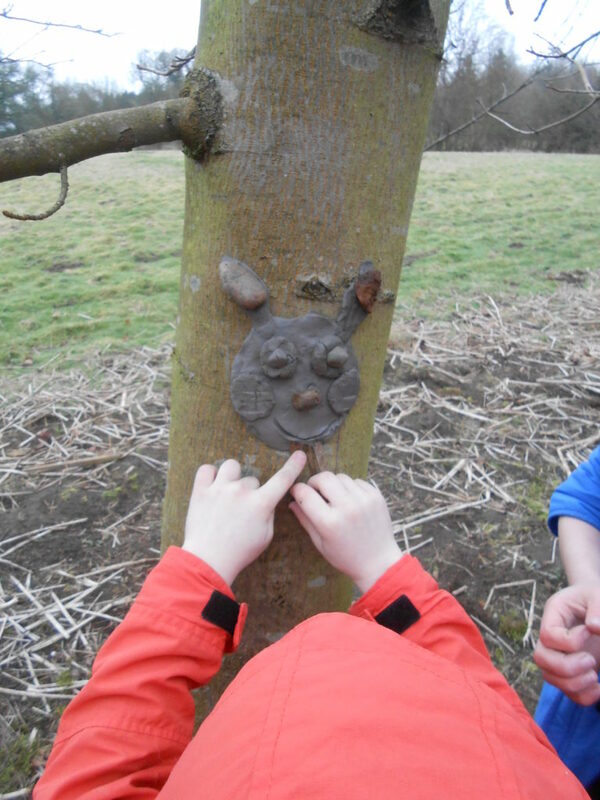 Visiting the forest allows learning through play and in settings not always previously experienced. There are opportunities to take risks and learn in settings with wider boundaries. Enthusiasm and dedication by professionally qualified staff fires the imagination of each individual to have a sense of awe and wonder of the natural world and achievement in their own skills. 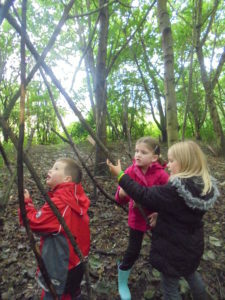 Our ‘forest’ is a large, wooded area outside the school grounds, attached to a garden. We are lucky enough to be allowed to use the land owned by one of our families. Our forest is a short walk away following the main road and down a small lane. The landscape there is varied, from wide open spaces, wooded areas, enclosed ‘den’ like areas sheltered by trees, and there is even a small beck. There is a huge amount of potential for learning at our forest and our children and staff truly appreciate the opportunities available to us. Why do we visit the forest? The forest helps to develop a range of skills including: self-awareness, respect for the environment, intrinsic motivation, communication and language, empathy, social skills, independence, a positive mental attitude, self-esteem and confidence. 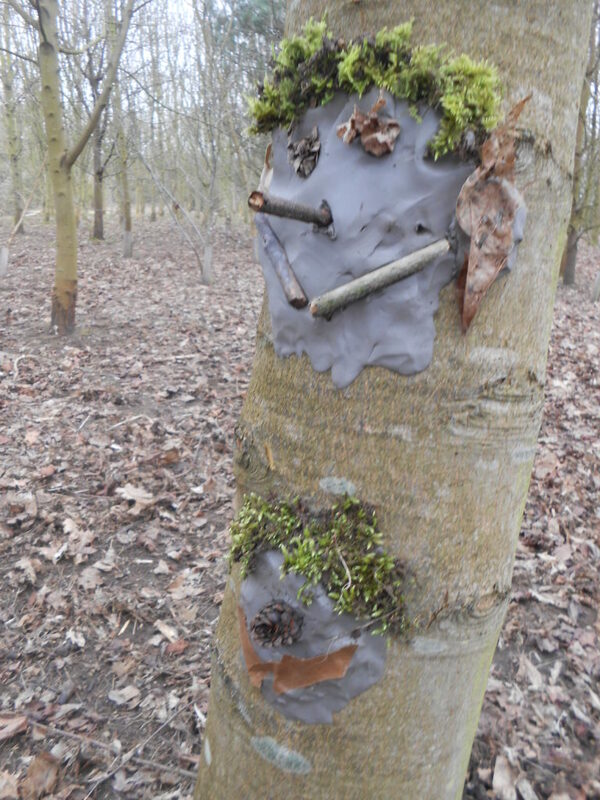 We also often visit the forest to enhance the children’s learning, for example making ‘traps’ for Burglar Bill or making a house for the Three Little Pigs. 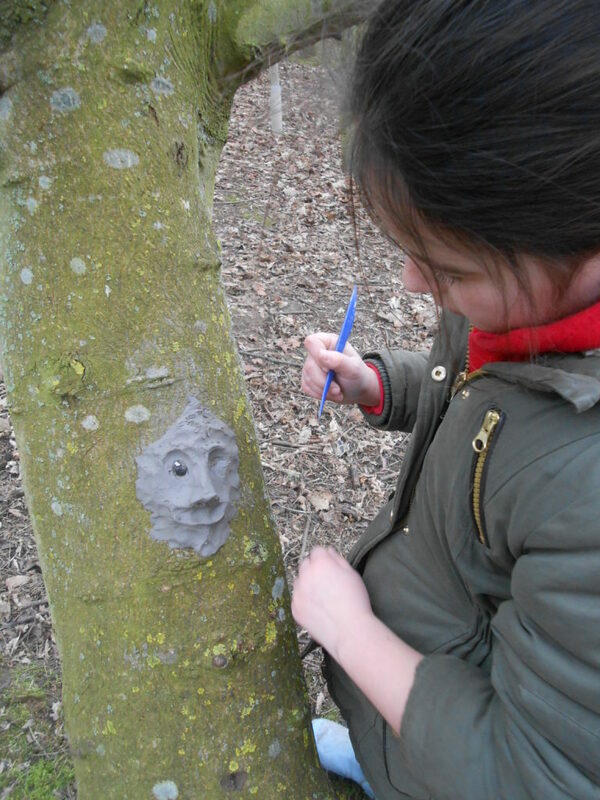 In science, we made wind chimes there and in art we made clay faces attached to the trees.